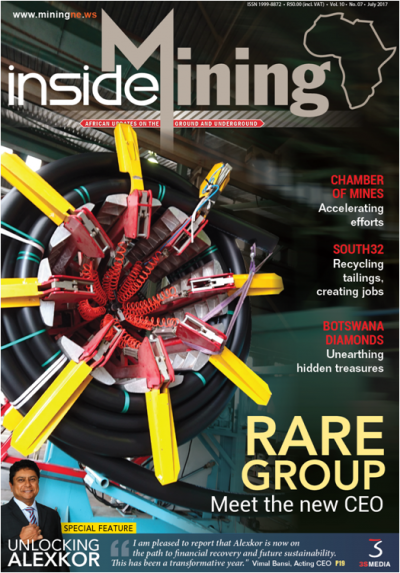 Rare Holdings has signed a deal worth R30,9 million that will enable the company to significantly strengthen its position as a major manufacturer, distributor and service provider of piping and related products covering the entire fluid conveyance cycle locally and in Sub Saharan Africa. This deal includes the acquisition of a manufacturing plant, fixed assets and property in Meyerton, which will enable the company to manufacture High Density Polyethylene (HDPE) pipes up to 1 000 mm in diameter for the mining, infrastructure, agricultural and industrial markets. This will be Rare’s first venture into manufacturing HDPE pipes.